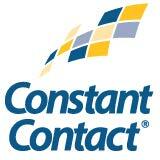 We’re a proud Constant Contact Solution Provider. Constant Contact makes it fast and easy to get results from your email marketing, even if you’re a beginner. Our state-of-the-art email editor is built for speed—just drag and drop. And with powerful features like customizable Action Blocks and email list growth tools—plus free live support—you’ll connect with more customers and drive bigger results with every email you send. Sign up FREE today. Perfect for small business. Organize your contacts, increase leads and accelerate sales. Three powerful tools to choose from: HubSpot CRM to organize your contacts, get deeper insights on every lead, and monitor deals with ease; HubSpot Marketing Hub to run complete inbound marketing campaigns; and HubSpot Sales Hub, a full suite of sales tools for your whole team to shorten deal cycles and increase close rates. Get started for FREE. We are a HubSpot affiliate and receive a commission when you purchase. Everything you love about Amazon. For your business. Create a free, multi-user account and get business-only price savings on millions of business and commercial products, corporate purchasing and credit cards, approval workflows, analytics and more.